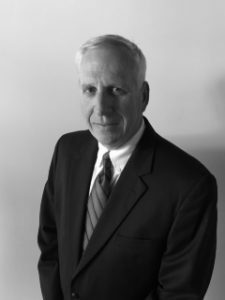 Jay Rendos is a consultant in the energy industry and Director within Continuum’s Utility Vertical Market team. He works primarily with gas/electric utilities, power generators, pipeline companies, and energy companies to support the planning, design, construction, and operation of capital assets. He also works with the service providers and material/equipment suppliers that support these firms including mechanical contractors, engineering firms, overhead/underground utility contractors, and high value added material and equipment suppliers. Jay is a recognized expert in both natural gas utility construction, operations, and maintenance along with power generation facility construction and operations including very specialized experience in reduced and no carbon emission facilities powered by natural gas, nuclear, or renewable sources. Jay is an agent for transformation and innovation, helping firms develop and implement business strategies that build competitive advantage and transformation. Typical client engagements include business alliance formation, strategy development; strategic plan design; nuanced market research to support growth or acquisition; adoption of highly effective program management, construction management, contract management and project management techniques; and process or continuous improvement efforts utilizing Six Sigma, LEAN Construction, and other continuous improvement techniques. Jay is a sought after consultant, speaker, transformation agent, and source of innovation who brings 30 years of energy industry experience. His experiences include senior management positions in the energy industry, nuclear and non-nuclear power generation, and LDC facility construction and operations. His career highlights include transformative roles with NICOR Gas, PCI Energy Services, Westinghouse Electric Company, Williams Industrial Services, and most recently Holtec International. Jay’s broad energy industry experience and participation in industry associations includes leadership roles with the American Gas Association (AGA) where he served as Vice-Chairman of the Distribution, Construction and Maintenance Committee; Midwest Energy Association (MEA) as an active member; Nuclear Energy Institute (NEI), American Welding Society (AWS), American Nuclear Society (ANS) and Electric Power Research Institute (EPRI). Jay is a regularly published author in the Nuclear Plant Journal among other industry periodicals and is a frequent presenter of research topics and papers at AGA, EPRI, and other industry conferences. Jay holds a Master of Business Administration degree in Finance & Marketing from Lewis University and a Bachelor of Science degree in Civil Engineering from Purdue University. He is a certified Six Sigma Green Belt for Development and Improvement. He earned and was recognized with the George Westinghouse Signature Award of Excellence for Spent Fuel Canister Welding Technology.